The link is a good start to learn about "noodling". 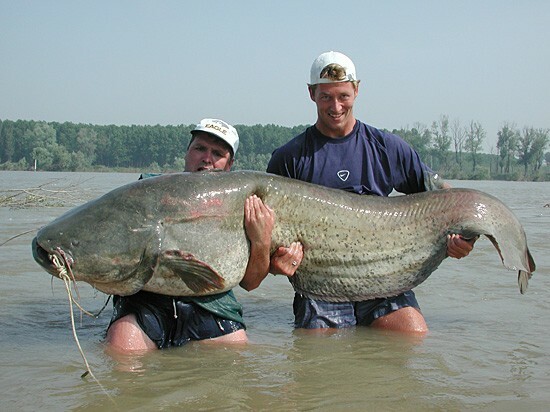 Noodling is a means to catch catfish like the one shown in a previous post. That fish is real. What you do is wade around the shores of lakes and streams, reach your hand into holes in the banks under water. 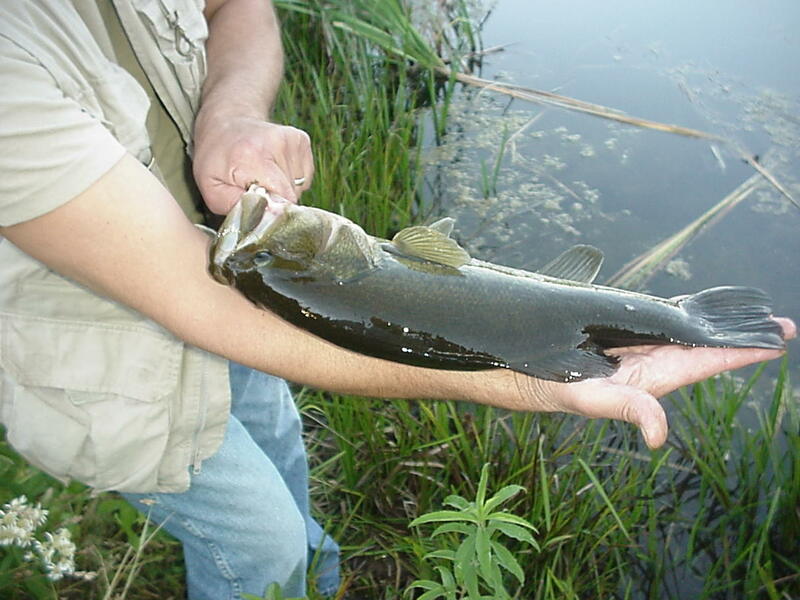 The catfish will consider you a threat and try to eat you. You grab the inside of his mouth and wrestle him to victory. Seems simple enough. It is Thanksgiving again. It is about 18 degrees out and we have a few inches of snow. We have a coal fire going, switching from wood last night. The savings in getting our own wood and using low dollar per BTU coal isn't so much about saving money. I certainly waste more money on the savings on other stuff. It is about being able to take care of ourselves as we need to. Gas for the chainsaw is of course a concern. We are going over to couzin Liz's house in Dryden today. It is so weird that we ended up living in the same place almost. She is from Maine and is part of a practice as a doctor in Ithaca. We are cooking one turkey over here. There will be about 19 people. Here are a couple of pics from a couple of months ago. 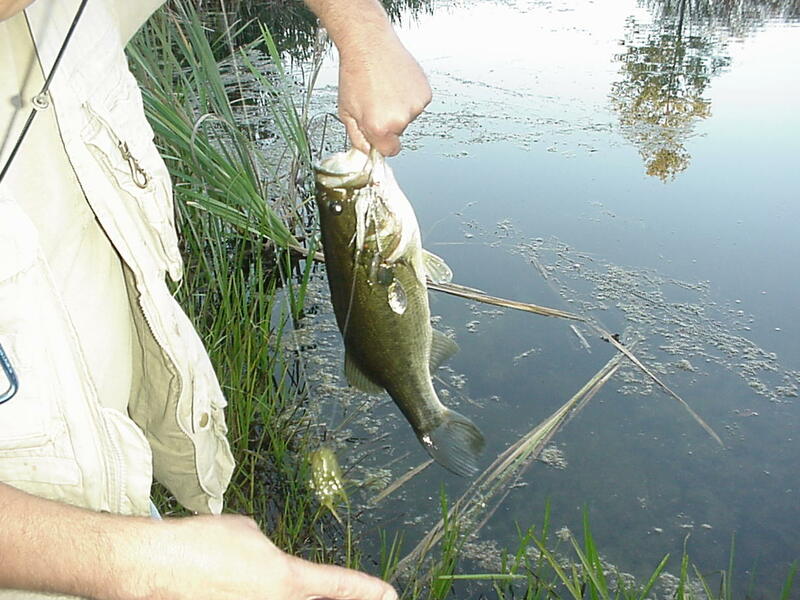 The bass was caught in our pond. I told you it was just like the one in the previous post. 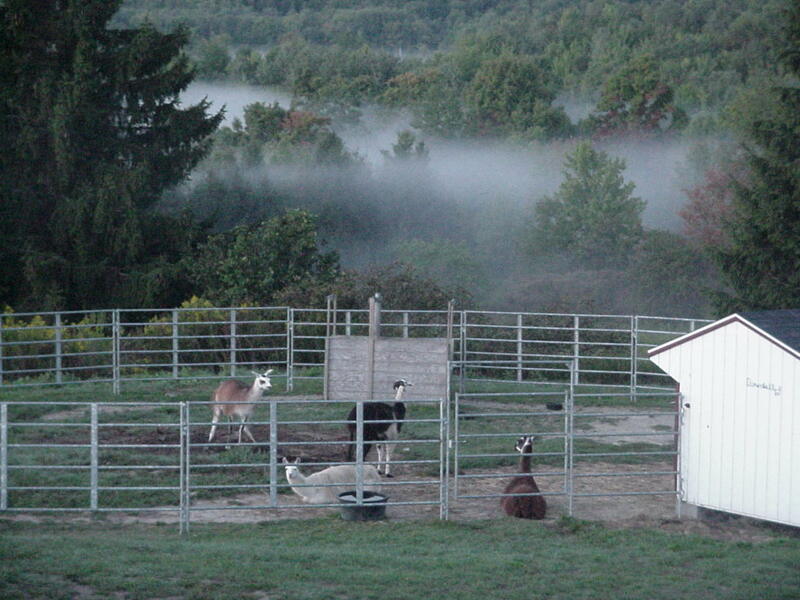 The llama pic was a special moment just as the sun was coming up. We are often above the clouds here. Sometimes it looks like we could walk out on the clouds. The llamas look pretty happy in the photo for sure. I have a lot of web stuff to do and fix. I might get to it. I am in two classes now. 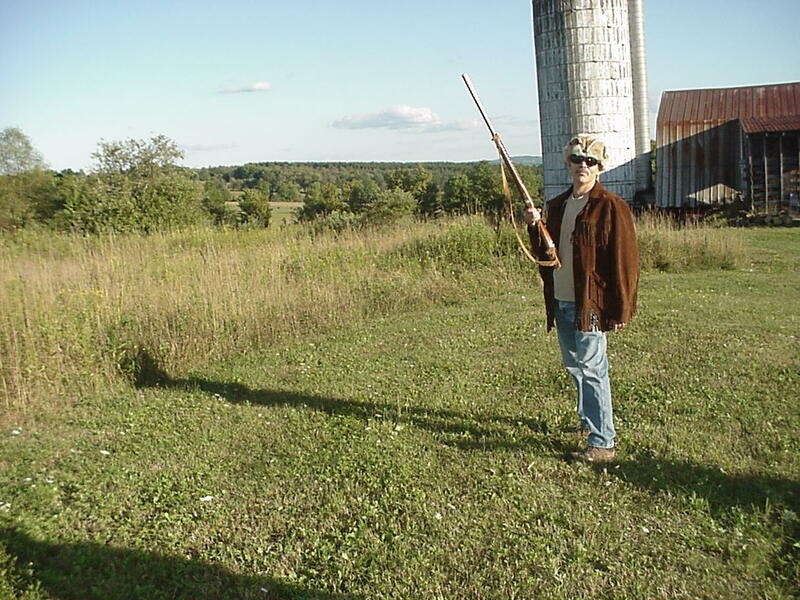 Here we are messing around with Dwayne's muzzleloader and his regalia.